There's a dedicated hashtag making the rounds on Twitter - #GalaxyNote9 - and fans are even filming themselves unwrapping their brand new handsets like it's Christmas morning. 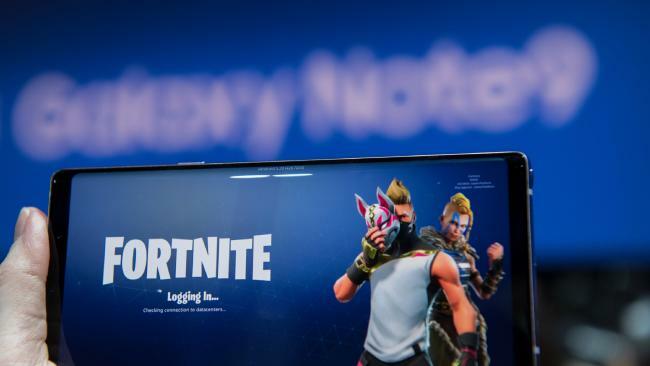 It seems the global tech giant is counting on a major partnership with the world's most popular video game to ensure that parents are nagged into dropping nearly $2000 on their shiny new toy. "This is a really intelligent move by Samsung to link up with Tim Sweeney, who has devoted seven years to developing his game before it was released," Ms Brewer said. 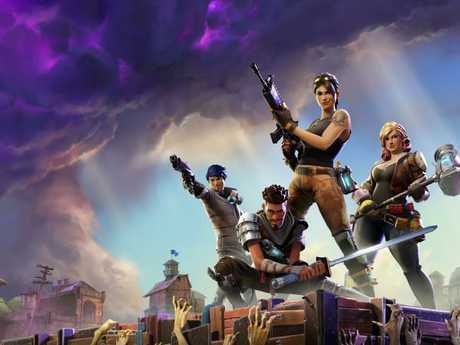 Mr Sweeney, who founded Epic Games which developed Fortnite, spoke at the Galaxy Note 9 launched, declaring his company and Samsung were "ushering mobile gaming into a new era of high end games for gamers". "Samsung makes the best performing Android devices in the world and the Note 9 represents a real revolution for mobile gaming," Mr Sweeney said. Ms Brewer said mobile phone companies operate on a 'planned obsolescence' basis - where devices were built with the idea that they would ultimately be replaced by bigger, better models.